is full of Churn Dash blocks from an old guild swap. These are 12.5″ blocks and will probably become a charity quilt. Think I have 23 blocks. I might need to make 1 more for an adult size. Or maybe I’ll sash them, as there is a slight difference in a couple of the blocks. 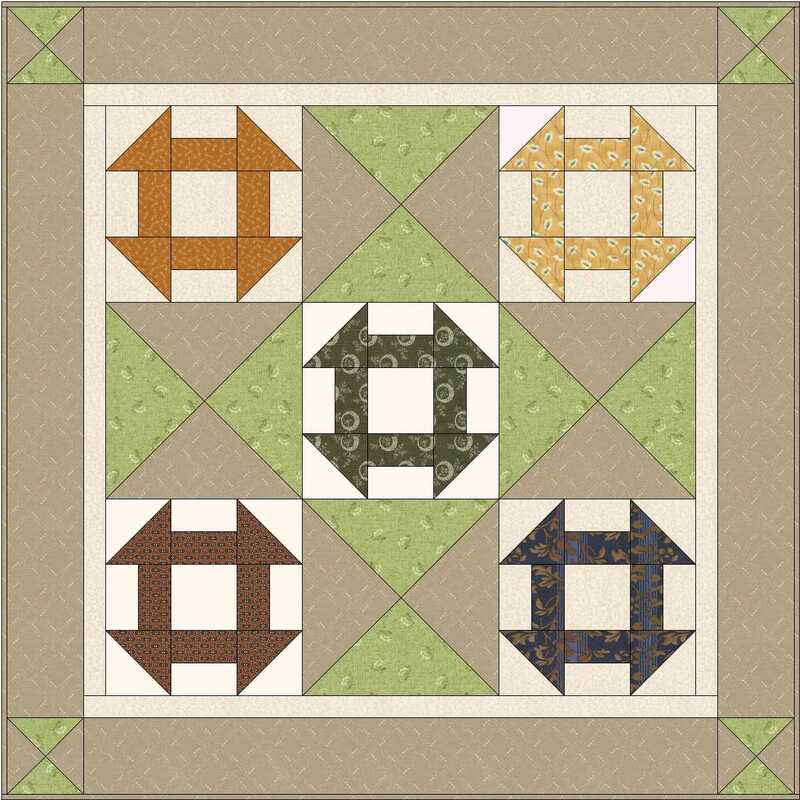 If I set them with some sort of alternate block, I would have enough for 2 children’s quilts! Time to play in EQ7 :-) Just any old excuse, ROFLOL!!! Okay…so how about this one? Kinda looks like woven ribbon….and I’d only need 18 Churn Dash + 17 of the 9 Patch. Easy Peasy. That leaves 5 blocks…. and with a little work…then we have a baby blanket! 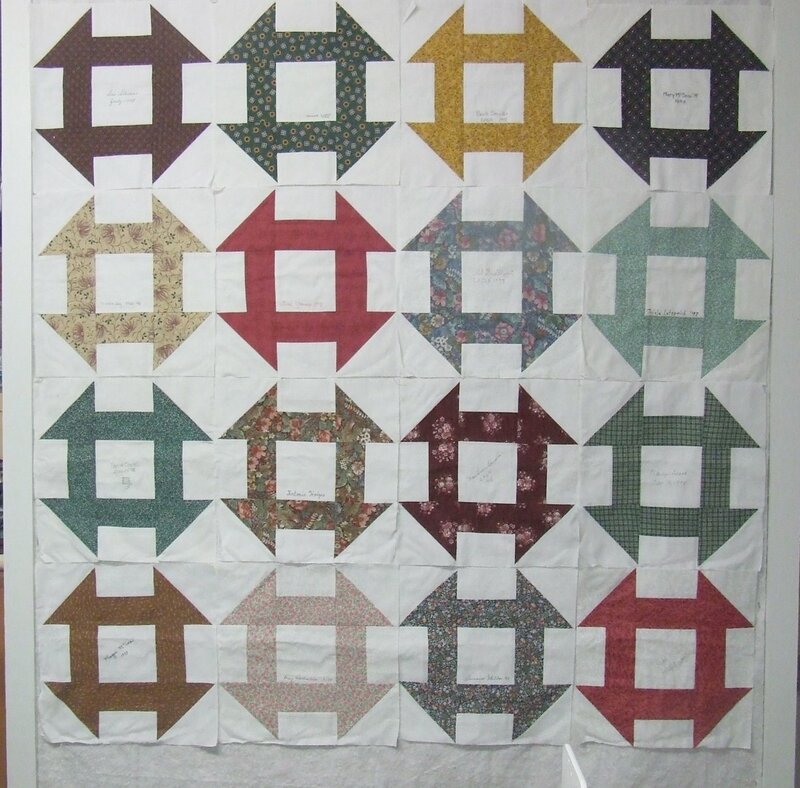 This entry was posted in Home, Quilting. Bookmark the permalink. 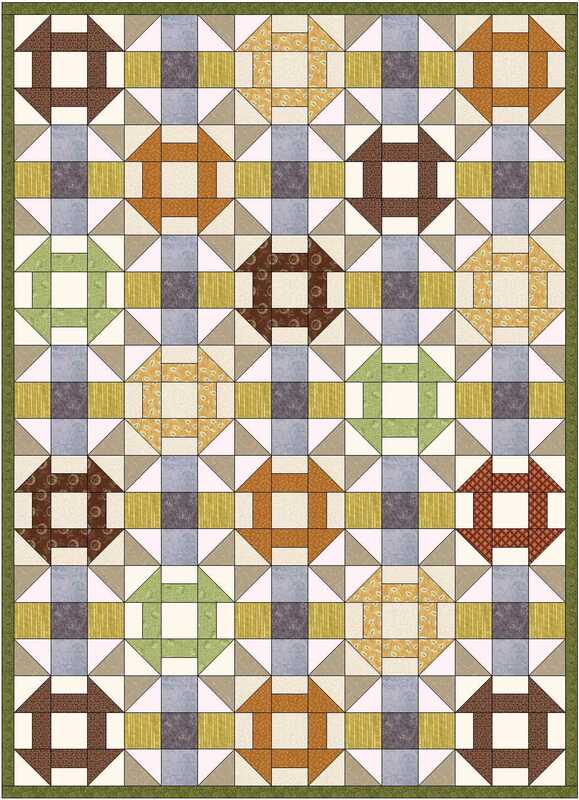 I like the churn dashes with the 9-patch blocks setting; very pretty and the secondary design is great. Thank you Tea…I’m digging through my stash looking for the fabric to make this one! I hope I have something in the right shades of gold/blue and grey. Thanks. Me too. I’ll have to search the stash for the perfect fabrics for the alternate blocks.